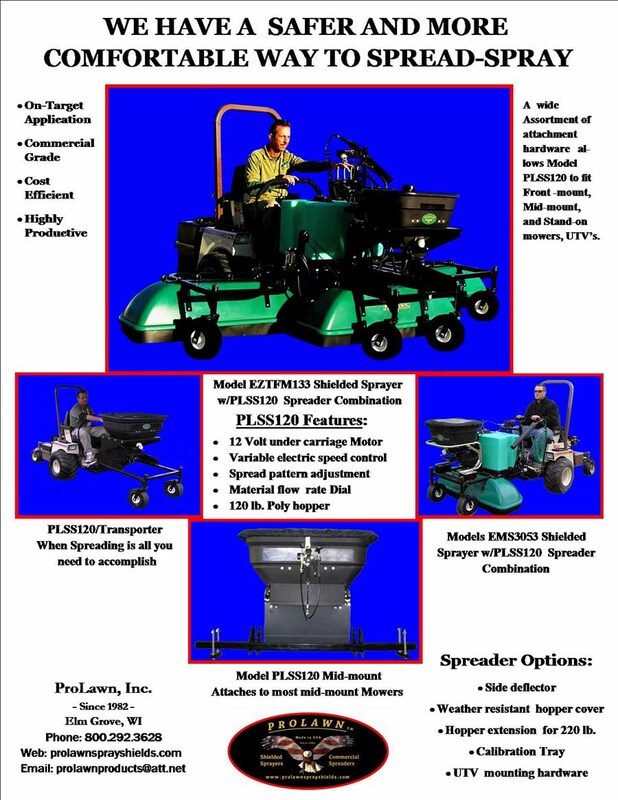 Spreader: ProLawn's spreader has a wide variety of attachments to fit most front-mount, mid-mount, stand-on mowers, utility vehicles, and ProLawn's Transporter. 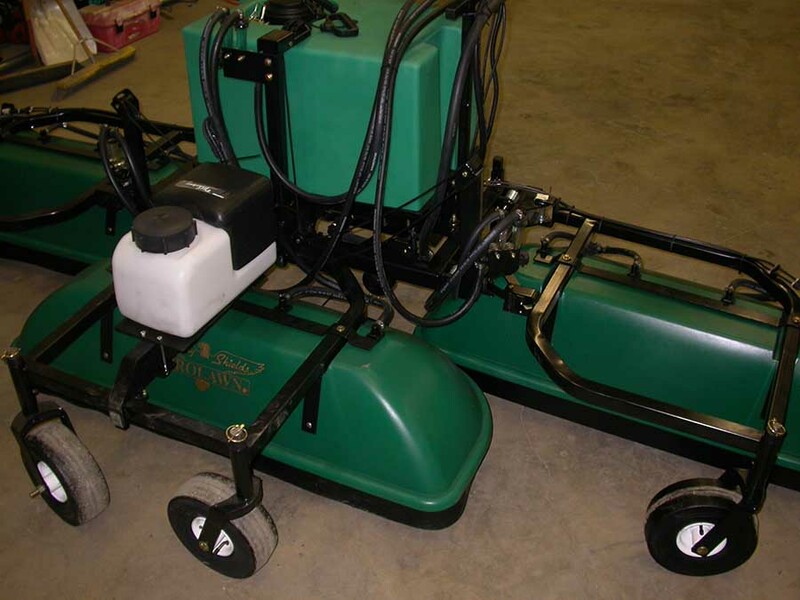 ProLawn's spreader provides on-target application, is commercial grade, has variable electric speed control, and spread pattern adjustment. 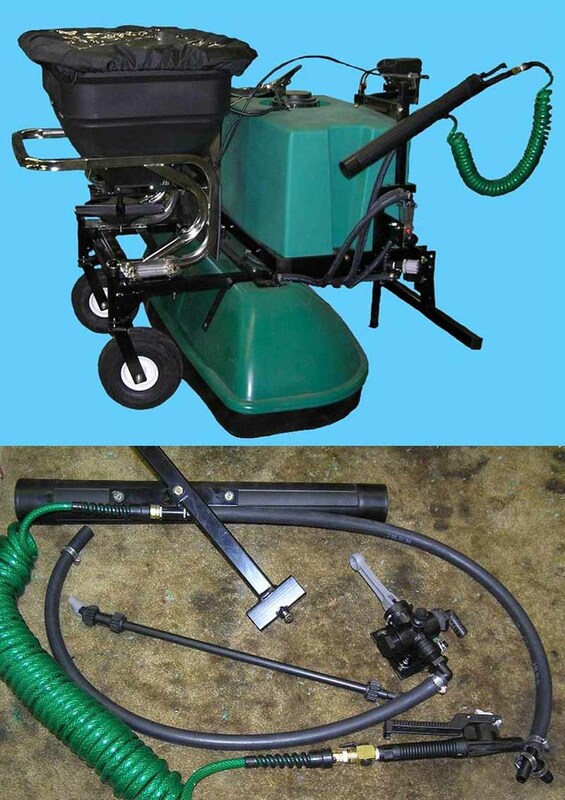 Enabled to spray and spread, attach ProLawn's spreader to our shielded sprayer to maximize production. 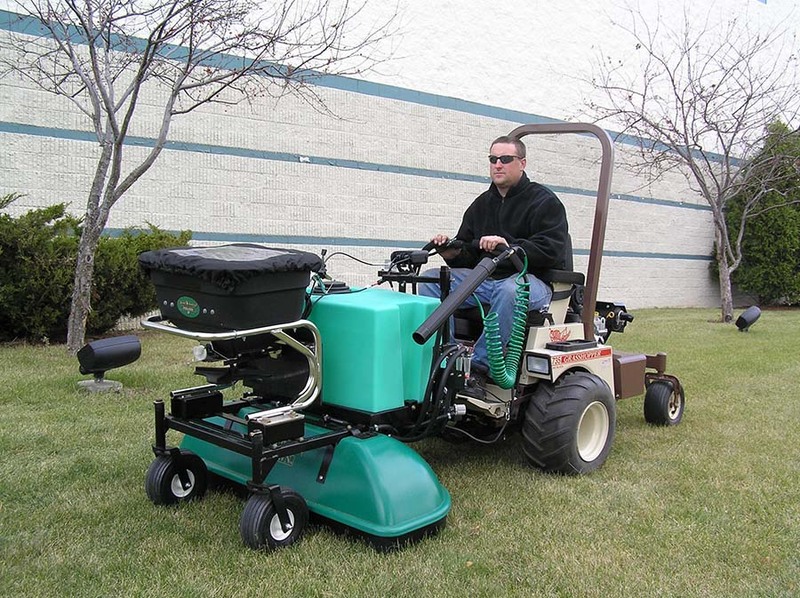 Foam Kit: ProLawn offers two different foam kit models; basic and deluxe. The basic foam kit lasts approximately one hour before refilling. The deluxe foam kit runs up to three hours on one tank. The deluxe model is built commercial grade for full season operation. Each foam kit can use liquid dish detergent for foam, offering an easy way to save on expenses. 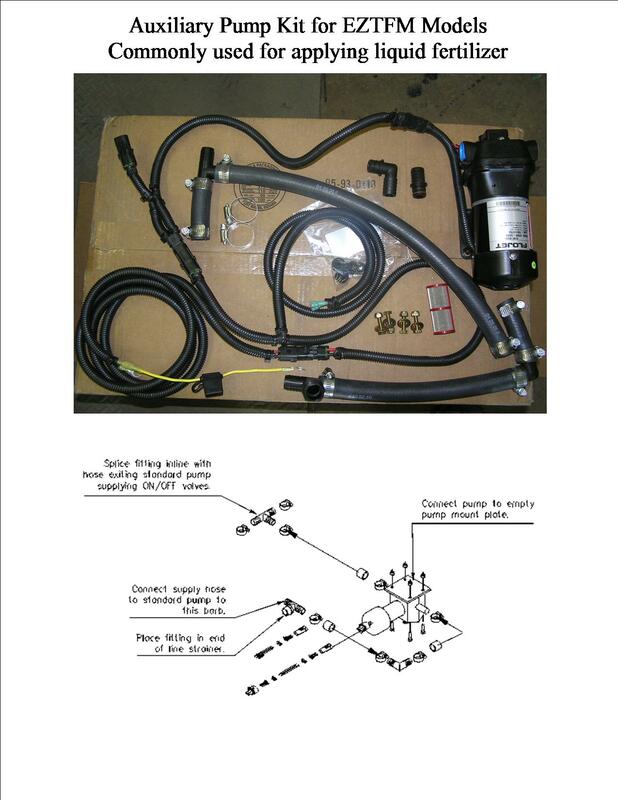 Auxiliary Pump Kit: ProLawn's Auxiliary Pump Kits are commonly installed for liquid fertilizer applications. 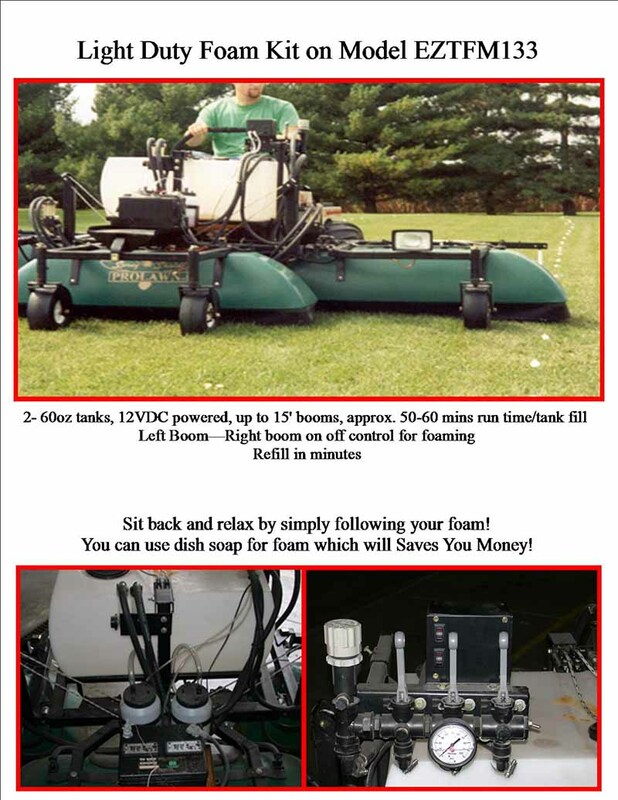 Wand Kit: ProLawn's 20 foot coiled Wand Kit is useful for spot spraying for difficult areas.